Welcome to A10 Talk’s Preseason Top 25 Player Countdown for the 2018-19 season. Each day, we’ll be publishing a new article counting down our best 25 players for the coming season, as voted on by our staff of writers. Today, we feature #25 De’Riante Jenkins of VCU. De’Riante Jenkins has asserted himself as one of the A-10’s best shooters in his first two seasons as a Ram. Knocking down 42.9% of his three pointers in conference play and hitting 79 all of last season, Jenkins was a lethal threat from long range. As a sophomore, Jenkins also hit at least 1 three pointer in all but 2 of his contests last year, and twice he hit 5 threes in a game. De’Riante took a more prominent role in his 2nd season as a Ram, and heading into 2018-19, that will have to be the case even further. Transfer Marcus Evans is expected to be a star, but his injury will keep him sidelined for at least a few games at the start of the season. Jenkins has proven himself as a deadly shooter with a sweet stroke and the ability to play defense as well, but he’ll have to create more offense in his third year and step up as a leader. 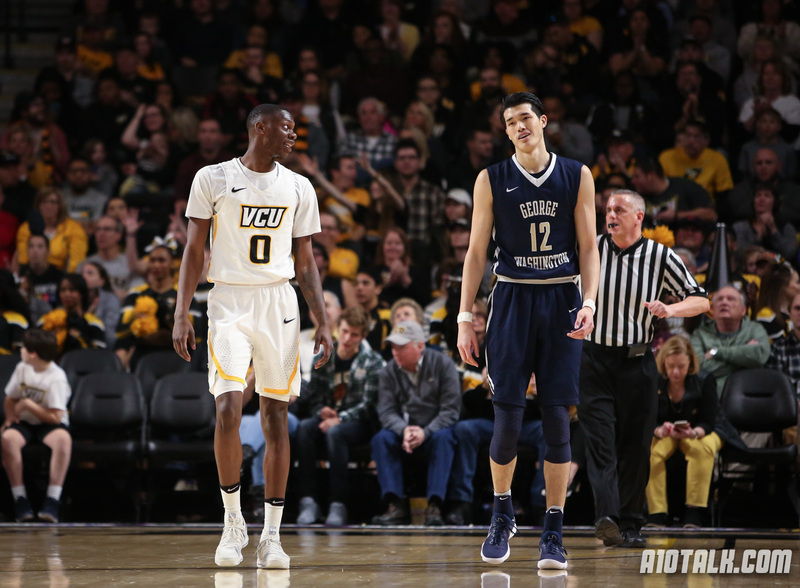 Mike Rhoades has to figure out who’s going to play point guard before Marcus Evans gets back into the mix, and while I don’t think Jenkins will spend much time in that role, it’s important that he evolves as more than just a shooter this season. Jenkins remains the Rams’ most prominent threat from long range, as he was the only guy to shoot better than 40% from three last season. Without Justin Tillman drawing the lion’s share of attention on the inside though, defenses will be able to guard Jenkins tighter on the perimeter. Improving his ability to work off the dribble and score at the hoop would go a long way for the junior. Jenkins will also have to be part of a team-wide effort to improve on the defensive end of the floor. The Rams will have to tighten up on the perimeter, and the loss of Justin Tillman as a rim-protector means the Rams are going to have to be even more aggressive on that end. That can start with Jenkins who had an improvement from 1.6% to 2.5% steal percentage going from his first to second season. De’Riante Jenkins has an opportunity to really emerge as one of the best guards in the league this season. Combined with Marcus Evans and Issac Vann, this VCU team could be dangerous in the backcourt and make some noise. Where did Jordan Goodwin fit in the top 25?